This week, the Moon will be waxing and the heavenly warmth of Leo season will continue to invigorate your imagination of self. Yes, Leo season is the time to consciously embody your own version of deified solar qualities, including: courage, vitality, and joy. The most elongated and influential aspect this week is the conjunction between the Sun and Mars in Leo. This aspect will be in effect all week, and will be exact from Monday to Friday. When solar fire touches the hilt of the sword of war, it summons a benediction for acts of heroism and valor. The conjunction (aka combustion) of the Sun and Mars takes place once every two years, thus this concrescence of solar rulership and martial instinct will be a long awaited purification of your character. While the Sun and Mars remain tightly bound, Mercury will have traveled into the sign of Virgo, the messenger’s sacred home of rulership and exaltation. To put it simply, this is the strongest placement that a planet can enjoy. Thus, as your sense of heroism is inspired by the Sun and Mars, the strength of Mercury’s new placement will enrich your mind with language that speaks in principles and codes of honor. Mercury in Virgo will also embolden epistemic virtue, offering a clear sense of duty and correct conduct. With so much extra energy to weave many disparate facts into elegant tapestries of thought, imagine Mercury’s transit through Virgo to be a great fruiting of the mind. But how to understand this week’s admixture of valor, conquest and flourishing intellect? 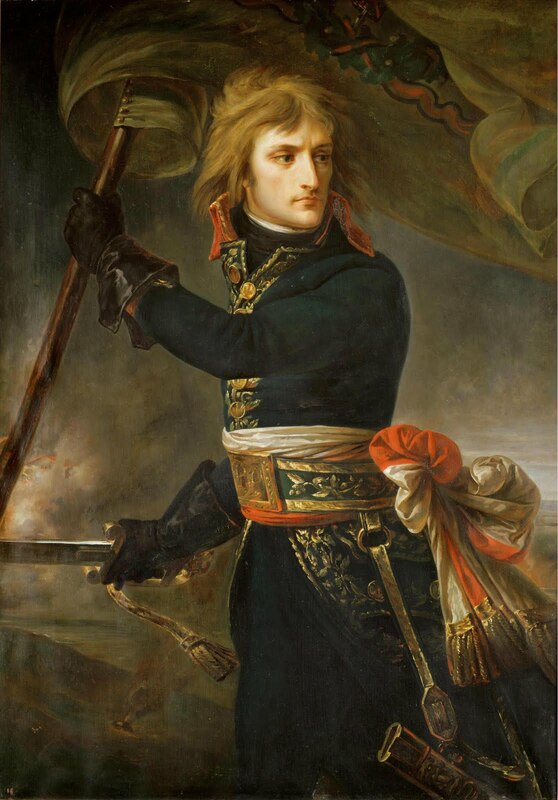 One need look no further for an example than the leonine figure of Napoléon Bonaparte. What, then is, generally speaking, the truth of history? A fable agreed upon. Napoléon’s remarks about history being a fable, are as much transcendental as they are self-referential. There is no doubt that Napoléon Bonaparte, who performed the role of hero, emperor, and exile, was ever aware of the importance of the fable that enveloped his life. The character of Napoléon, whether represented as the hero or villain, is an element of history, as mythic and imagined as any fable ever was. Since there is no way to empirically distinguish the real Napoléon from the fabled image of history, the reader must learn through the interplay between light and shadow; fact and fiction. Napoléon was born in Corsica on August 15th, 1769. With his Sun in Leo, he was born with a prodigious flair for being in the public imagination, performing the role of hero and villain. A thoroughly Leonine creature, he was famed for his wild vacillations of temperament that ranged from tenderest love to most brutal wrath. No matter what opinions or ruminations there may be about his life, Napoléon remains a central aspect of the spirit of Romanticism. You might say that his legend is like the Sun, around which the other planets of philosophy, art, and literature orbited. The beginning of the Romantic era was a time of revolution, where the monarchy and the church were being overthrown in favor of democracy and science. When France was proclaimed a Republic in 1792, Napoléon found himself in a new world where he could rise to prominence based upon his merits rather than his parentage. 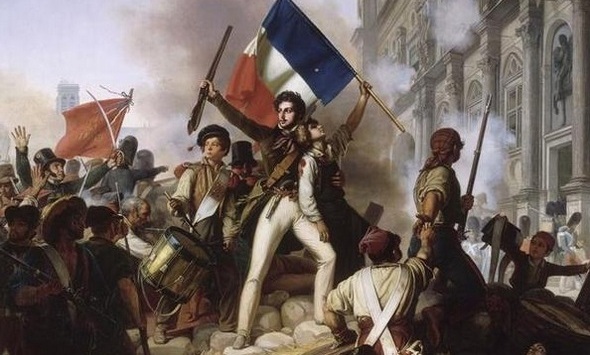 After the founding of the Republic, France had been thrown into utter chaos by the revolution, a period called the Reign of Terror characterized by mayhem and murder. To make matters worse, Austria, Prussia, Spain and Great Britain had all declared war. When the British attacked the city of Toulon, Napoléon got his opportunity to prove himself in battle. He sunk ten of the enemy ships and successfully re-captured Toulon for the Republic. It was in this way that he rose in rank very quickly. In 1795, he was sent to handle an uprising that was intended to restore the monarchy. The rebellion was crushed by his cannons and the Republic remained strong. The Romantic philosophers and artists of the time were great advocates for the ideals of the French Revolution. Thus Napoléon, especially in the beginning of his career, was a glorified and reified hero. Through him, the Sun shone upon the dream of a New World where liberty and freedom reigned. Napoléon saw himself in a golden light of greatness and achievement as well, living his life in imitation of the great conquerors that came before him, including Alexander the Great, Julius Caesar and King Charlemagne. Wisdom teaches that there is nothing new under the Sun. So the story of Napoléon, hero of the people who rose to a level of power that corrupted his original ideals is not a new story. Considering how famously well-read and philosophical Napoléon was, it is likely that he also had more than an inclination about the arc of his story’s development. After all, even the Sun rises and falls. In hindsight, the Revolution in France was as murderous and ignoble as any other war. Thus, Napoléon, guiding light of the French people, was eventually cast into shadow. Consider this week to be a time to reorient yourself to a keen awareness of the cycles and patterns of history. You may feel very passionate about asserting your ideals and opinions now, but in order to make good use of this desire, it is important to scrutinize your motives. The Sun/Mars conjunction will be very purifying to your character, offering an opportunity to thoroughly examine the images of heroism, courage and truth that you most identify with. Acknowledge all extremes of light and shadow. Try to see the full arc of the story: the rise and the fall. Above all, listen to the guiding voice within that offers a nuanced understanding of life’s drama, where shadow and light interplay. Now that Leo season is underway, do not act merely out of the desire for vengeance or approval. The Sun/Mars conjunction this week will ask you to refine your energies and act only upon genuine inspiration. Let yourself speak truthfully and honestly, even if what you say seems out of character. The beginning of the week is bursting with the fires of Leo, as the Sun, Moon, Mercury and Mars are all clustered there. The Moon is waxing now, building its powers of creative and emotional energies. The Sun and Mars in Leo are conjunct, continuously tightening their bond until their perfection on Wednesday. Venus and Mercury will both be making significant aspects on Monday. Mercury will trine Uranus in Aries, stimulating thoughts of liberation and experimentation. Bend an ear, you may learn something. However, Venus in Gemini will be opposing Saturn in Sagittarius simultaneously on this day, arriving with an obstacle to your freedom of movement. You may hear conversations pertaining to revolutions and resistances, but the more interesting topics that might be flitting about will be stories of psychedelic states. However this manifests, note the patterns of liberating action hemmed in by the heavy obstacles of convention, law and order. On Tuesday, Mercury leaves its perfect fire trine with Uranus and enters the sign of Virgo, where good fortune befalls the mind and its many blessings including, language, math, and reasoning. During the middle of the week, the conjunction between the Sun and Mars in Leo will be at its apex. You may feel an abundance of vitalizing energy and a great impetus to achieve. You may have a much shorter fuse than normal, so take some care with the environments and people that you spend your time with. Fortunately the waxing Moon will be in the sensible and grounded sign of Virgo on Wednesday and in the tempered sign of Libra on Thursday. Because Mars is combust the Sun, a new two year journey of martial energy is beginning. You are thus being afforded a golden opportunity to gather your scattered energies and re-focus them with tremendous power. If you take the time to do some introspection and contemplation, your true will can be realized in a much more refined manner, making this the dawn of a fortuitous time. To summon the martial instincts, ruminate upon your most favored symbols and stories of valor and courage. Find ways to emulate the heroic figures that you admire and feel aligned with a new strength of character. In this manner, you may direct your focus and begin to accomplish great feats! On Friday the waxing Moon in Libra will make a brief conjunction to Jupiter, opening up the potential for a sense of emotional well-being and generosity from others. On Saturday, Venus, in the last degree of Gemini will sextile Uranus in Aries. Thus, the weekend will naturally attract an element of surprise. This is a harmonious aspect, so it should be fun to experience this alteration of routine, but it might be a less lazy weekend than most. Whatever happens, this aspect will stimulate a desire for excitement and novelty. Use it wisely to shake off inhibitions, push yourself creatively, or enjoy romantic freedom that you might otherwise deny yourself. On Sunday, the Moon will traverse the dark waters of Scorpio, sharpening your instincts about who and what you should put your trust in. With full knowledge of the darker elements of human nature, choose to radiate what is most honorable about yourself to the world. Think about the lasting impression that you would like to leave in people’s minds. Do what you can to lead like a lion.